Have you ever played the game Articulate? It’s my all time favourite, and it’s a bit like Taboo, or Pictionary (using words instead of drawing). Now, I confess, I’m a tad on the competitive side when it comes to board games… but nothing riles me up more in any of the above-mentioned games when it’s my teammate’s turn to describe or draw, and they sit there wasting precious moments just thinking in silence! I can’t work with nothing! Anything, even a scribble, or a few vague words, anything at all can get me started to build some momentum! So here I am, months since my last blog post, and I’ve spent all that time fretting about just what I’ll fill it with… and all the while, wasting precious opportunities and losing momentum! So I’m sorry if this post seems a little random, but I figure that anything is better than nothing! I thought I might share a little history. My first ever quilt was an improv baby quilt for a dear friend, back in 2013. Because I’ve given it away, I only have a few (rather poor quality) photos. It was improv on so many levels – right down to the fact that I hadn’t intended to make it! I was doing a 3D artwork for an assessment in my Honours year at uni – which meant I’d brought my ancient Elna sewing machine to college. I had scraps of fabric lying around my dorm room, and I liked the way the colours looked together, so I started sewing. Before I knew it, I had a quilt top, and I was hooked! Now, I’m working with Marcelle, and helping to run her site as well! She’s teaching me how to use the long-arm, and I’m so totally blessed to spend so much time on things I love. 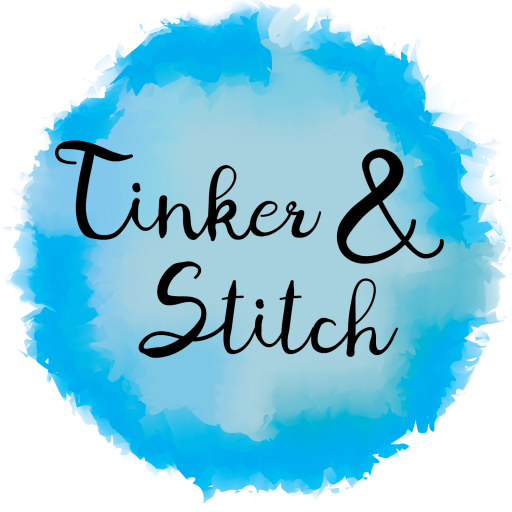 My goal for the next few weeks is to be a bit more disciplined about sharing here, at Tinker and Stitch. You’ll see a great deal of my adventures over at Marcelle’s Patchwork Cottage as well, but here you get to see some of my more personal projects and adventures.